How do you ensure continuous security and compliance in your cloud and container environments? Invest in cloud operations. This is the best way to ensure that your organization is consistently and continually mitigating this risk. Cloud operations, or “CloudOps”, is the combination of people, processes, and tools that allow for organizations to consistently manage and govern cloud services at scale. Key to this is hiring and developing the right people, identifying processes that address the unique operational challenges of cloud services, and the automation of these processes with the right tools. One vital tool in your CloudOps toolkit should be software that provides centralized visibility of configuration choices, real-time evaluation of these choices against security policies, and automated remediation when a policy is violated. 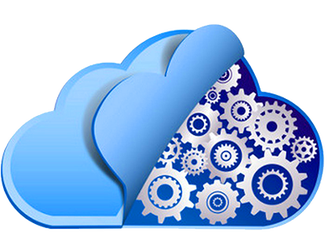 DivvyCloud is exactly this kind of tool and our software is used by customers such as Discovery, Twilio, General Electric, Kroger, Fannie Mae, Turner, and Autodesk to achieve continuous security for their public cloud and container environments. We are natively multi-cloud, extensible, automate remediation to protect and mitigate real-time risks, and provide over 165 out-of-the-box policies for a quick start to fully secure your cloud. These are just some of the many multi-cloud policies that we can help you monitor and remediate. Click here, if you’re interested in learning about others, as well as the top security risks that DivvyCloud protects you from. Or if you’d like us to explain, contact us and let’s have a conversation.